Dropping pins across the global map, Taiwan’s RayRay is always close to the most enviable sonic spots from Glastonbury to ADE’s finest, fueling a fierce open format style music spectrum from hip hop to EDM, Miami bass to tech house and trap and drum-step vibes. A true love story with the beats, RayRay took to a road in the sonic realm from the early days. Initially on the hip-hop tip she organically gravitated to the electronic cartel making her a diverse addition to the ever- evolving music industry. A justified winner of the Red Bull Thre3style competition and participant in the Red Bull Music Academy Montreal 2016 where she was accepted as one of 30 students of 3500 applicants received, RayRay has literally become the one to watch. Behind the studio walls, RayRay holds true to her trap inspired production where 2016 sees the work in progress of her debut EP featuring the likes of Din Pei following her debut single ‘Closer’ with X&amp;G and Josh Pan. In 2017, she release her first EP across all major digital platforms titled &quot;Reincarnation EP&quot; and set new records for sales, streams, downloads and tour stops. Her hit single &quot;Marijade&quot; reached number 3 on beatport charts. Sessions with Skrillex and fellow pioneering artists have set ablaze the next chapter in her musical story, injecting a savage signature sound into all she releases. There is no doubting the presence RayRay holds behind the booth with a recent astounding guest feature at one of the world’s undoubted premier festivals Glastonbury, showcasing an epic sound spectrum to music enthusiasts.. Between the cities, her diehard assault on club floors has also been infectious from Singapore to Hong Kong. Dropping beats across her catalogue, RayRay brings forth her laser vision for the music taking her truly appetizing flare on the decks to SXSW, ADE, Midem France Music Festival, Glastonbury Festival, and Sonar Music Festival Barcelona from 2015 to 2017. RayRay has been invited to perform at Barong Family Label Night at ADE in Amsterdam 2017. Embracing an experimental approach to music, RayRay has the gold in her hands, taking dance floors to other places with her alluring captivating delivery and giving them a solid education while she is at it. In early 2018, RayRay was invited by the famed record label Mad Decent to produce a mix on Diplo’s “Diplo &amp; Friends” on BBC 1Xtra. Later she joined and filmed a documentary with artists of the acclaimed Barong Family. 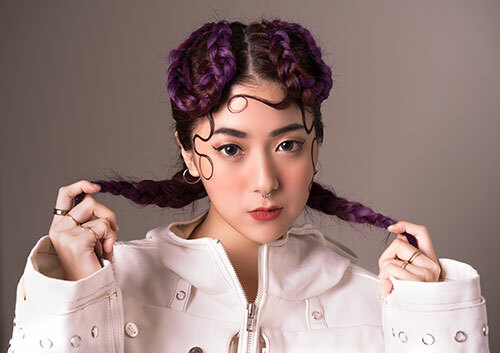 RayRay will release her secondary EP, remixes, and singles with LNY TZY and Stoltenhoff. All will be available from Barong Family. 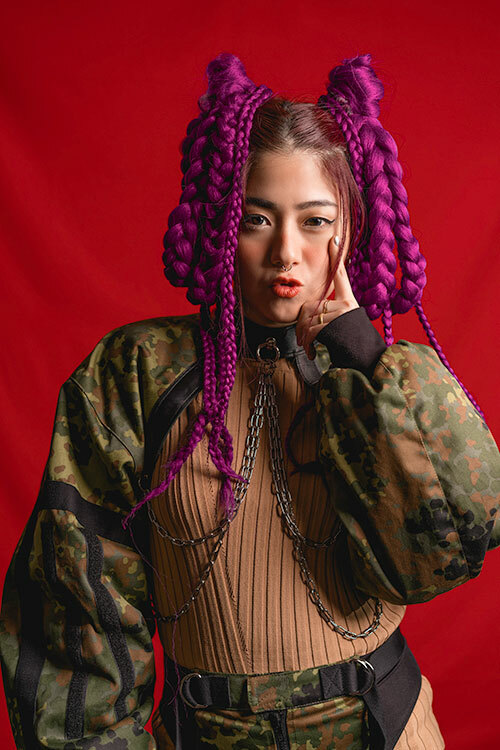 Later RayRay collaborated with upcoming Taiwanese talents such as ØZI and NEOSO releasing tracks like “OOTD” and “UNI,” while she released remix of “Need a friend” by Dirtcaps under internationally famous Armada/KLASH ㄐRecords. Furthermore she was invited to perform at Armada Invite, The Chainsmokers Asia Tour, and OMNIA Bali Grand opening which she shared the top billing with Marshmello and Martin Garrix. RayRay will perform at Tomorrowland and Solar Music weekend in Summer 2018, making her a true star and and an artist to keep an eye on.